And like the year before it, this new 365 days has come with much anticipation. Many people begin January 1 with goals, hopes, dreams, and perhaps even a plan of action for all that they would like to accomplish. The possibilities for a new year’s list of resolutions are endless. Some of the most common include exercise routines, healthier eating, progress at work, and quality time spent with family. Life goals and resolutions can be a great way to begin a year, so long as a healthy balance is maintained. For Christians, the start of a new year arrives with reminders afresh of the glorious promises that God has made to his people through the Bible. For Christians—those who have repented of their sin and received Jesus Christ as their Savior—a new year is a chance for renewed commitments to seek after God and to share the good news of Jesus. The Scriptures below are foundational truths that Christians believe. They are beacons of hope, not only for a new year but also for an eternal future with God. If you have not yet placed your faith and trust in Jesus Christ, then these Scriptures bring great news. The gospel of Jesus is that his birth, life, death on a cross, and resurrection to heaven from the grave deliver eternal life to those who turn away from sin and receive Jesus as their Savior. Make this new year the start of an eternity-changing journey toward becoming a child of God! Let these Scriptures sink deep into your hearts. Memorize them. Share them with your friends and family. The gospel—or good news—of Jesus Christ is a bright light to an often-dark world. 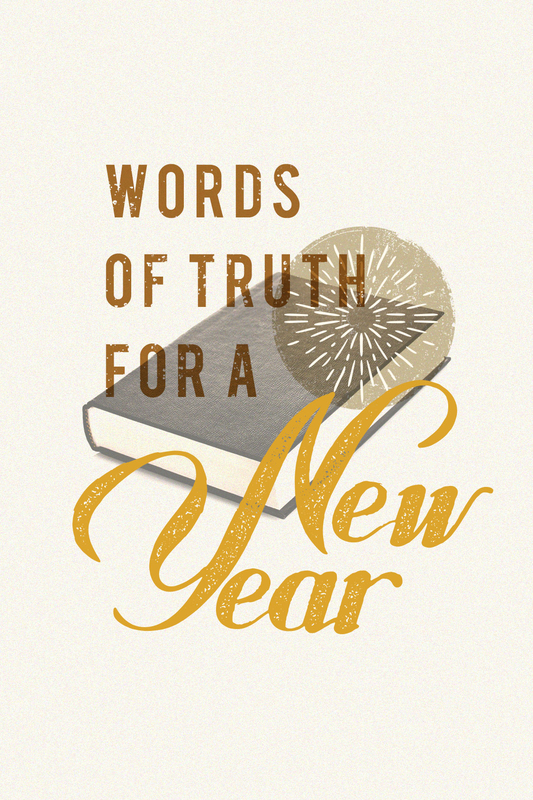 If you believe the truths that you’ve just read, it is only fitting that you would want to share the rich hope of the gospel, especially at the beginning of a new year. Heavenly Father, I believe that Jesus Christ is our Son, and that he died on the cross to save me from my sin. I believe that he rose again to life, and that he invites me to live forever with him in heaven as part of your family. Because of what Jesus has done, I ask you to forgive me of my sin and give me eternal life. Help me in a way that pleases and honors you. Amen.